Today is February 18th, 2008, and I’m starting over. 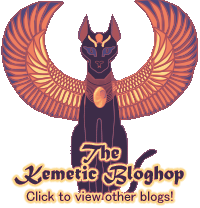 I’ve started blogs about Kemetic things before, never to much success. I tried to make them very formal, very academic. It got to be too much of an effort. I tried to write out full-fledged essays before I published them on my blog, making it very difficult to accomplish anything at all. I’ve decided to toss that idea away, and make a blog that is interesting and personal. I want to make a blog that is nothing but my thoughts, feelings and experiences. I’m starting that right now, with the most appropriate topic of which I can think: Zep Tepi. 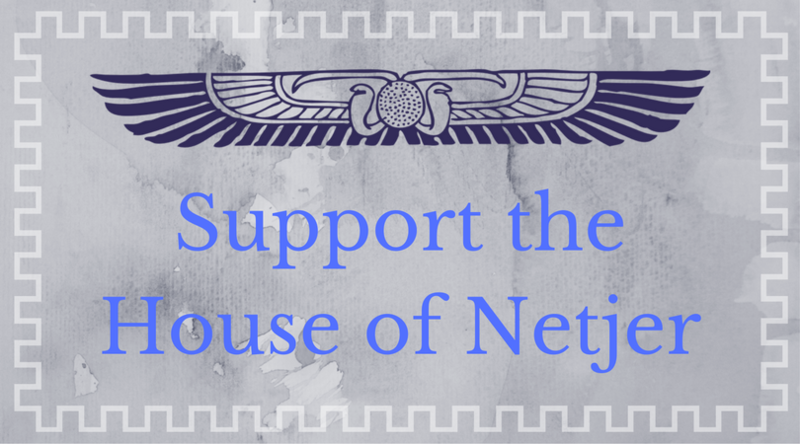 One of the most beautiful concepts in Kemet is that of Zep Tepi, the First Occasion, or First Time. I’ve learned a lot about Zep Tepi in my conversations with Rev. Siuda (AUS). Zep Tepi is the act of the creation of the universe and everything in it, the moment at which Atum begat Shu and Tefnut, the moment at which Ptah spoke the world into being, the moment at which the great egg arose from the Nun and gave forth Ra. It is the time at which everything in all of creation is new and clean, free from the touches of Apep (the Uncreated, the force of all wickedness and evil beyond comprehension) and isfet (pure, willful wickedness), free from the mistakes its inhabitants might have made. Tabula rasa, if you wish. All potential and possibility exists in that moment, the possibility of reinvention of oneself, the potential to achieve one’s dreams more fully, the ability to change those things which seem less-than-favorable about oneself. How often do we wish we could have that all the time? Goodness knows, it would be nice to look at the world and call it our canvas. That’s a funny thing, you see: we can. Zep Tepi occurs constantly. In addition to occurring singly, in linear time (djet) at the beginning of the universe, Zep Tepi occurs repeatedly in cyclical time (neheh). Every year, at sunrise on Wep Ronpet, the Kemetic New Year, Zep Tepi occurs again, in the Unseen world, allowing the world a chance to start over, renewing all that is within creation and everything that exists — And that’s just the most obvious occurrence. Zep Tepi is much more than just the beginning of the Kemetic year. Zep Tepi occurs every month, with the beginning of the month, every week with the beginning of the week. Zep Tepi occurs every sunrise, when Ra rises over the horizon just as He did the very first time He arose, shedding the same light as He did in that First Zep Tepi, when the Uncreated lays slain in its blood on the horizon and isfet is no more for a brief time. Every day, we are renewed; we are given the chance to try again, to start over. We are constantly given the opportunity to reinvent ourselves: to chase that dream, to change that behavior, to fix that mistake and keep on moving. It can be taken one step further; to say that at every moment that a measure of cyclical time (week, day, hour, etc.) comes to it’s beginning again, we are reminded of this recreation, so that every tiny second, the universe is churning and full of the power of creation and life. That is a stretch, as the primary marker of Zep Tepi is the sunrise and thus truly, Zep Tepi really only occurs once a day, but it is an interesting thing to ponder, and a good way to feel full and brimming with life. Zep Tepi is more than just a pretty concept to keep us going; in the Unseen world, it is fact. Creation is re-created every new day. It is a blessing that (I feel) is priceless. Every day, when I see Ra in the sky for the first time that day – be it through clouds or unfiltered in the wide, blue sky – I say a silent, thankful prayer. There are many beautiful blessings in this world, it’s true, but I think this power is the greatest, and the best to put to use. Wow… this is so very kewl. Thank you for posting this. I love the way you phrased these concepts and the positive thoughts and feelings that you have put into this blog entry. It is very inspiring.